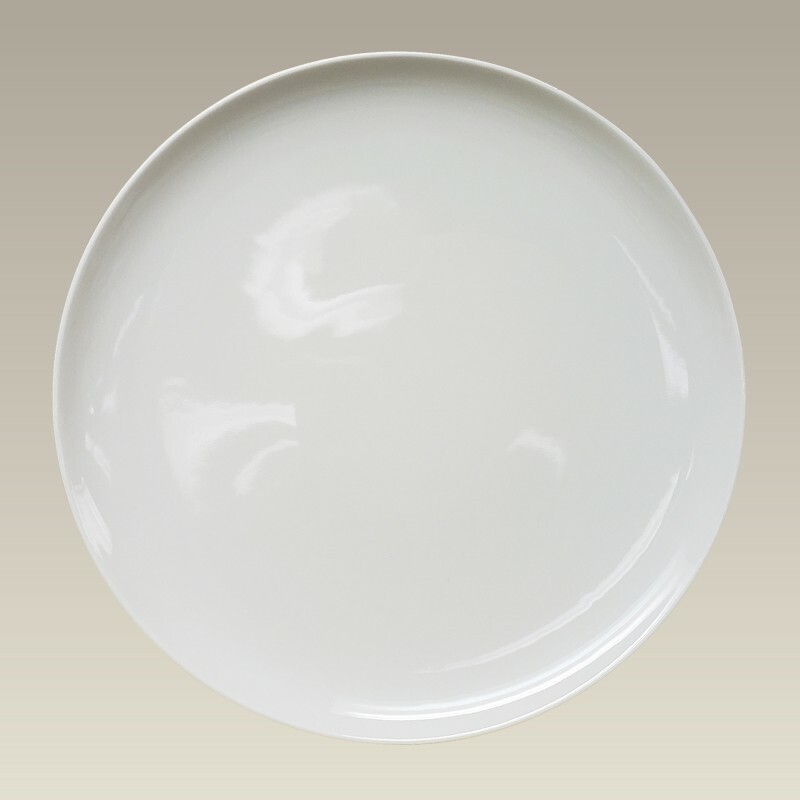 Colorful foods and sauces stand out on this elegantly simple 11.75" ivory color porcelain coupe plate. Made in Poland. Microwavable and dishwasher safe.